Q :How can I get my Card blocked ? Ans : Please call our 24x7 Call Centre on the numbers given at the top of the screen, and get the card Hot Listed (blocked). For credit cards, you can also call the Credit Card Call Centre on 1800 22 22 44 or 080-25300175 Please also ask for a new card to be issued. In case the old card is found later, please destroy it since it cannot be unblocked. Q : Can I use my Credit/Debit card to make internet or on-line purchases ? Q : Can I pay my Credit Card bill online ? Ans : Yes. The website has a link forpayment of Credit Card bills online using Internet Banking. Q : The ATM did not issue cash / issued less cash but my account has been debited. Ans : Please contact and inform the branch where you have your account. You may also contact our 24x7 Call Centre on the numbers given at the top of the screen. This is to be done whether the ATM belongs to Union Bank or to some other bank. After verification of the ATM records, the amount due will be refunded to your account within 12 working days. Q : I have forgotten my ATM PIN. Ans : It will be necessary to issue a new ATM PIN. Please contacting our 24x7 Call Centre on the numbers given at the top of the screen. You can either generate a new PIN immediately using the IVR , or make a request to an agent. In the latter case a new PIN will be sent to your Branch within seven working days, and you are requested to collect it from there. Q : How can I register online for Mobile Banking ? Ans : You can register immediately through options available inUnion Bank ATMs. You can also register online at our website. Please note that your mobile number should already have been entered in the account. If not, you will need to get it done by directly visiting the branch. In case of problems please contact our 24x7 Call Centre on the numbers given at the top of the screen. Q : Can I recharge my Mobile online ? Ans : Yes. Your mobile can be recharged through the ATM or through Mobile Banking. Please check against the list of supported Mobile Service Providers on the screen. The amount will be debited from your account immediately. Q : I have forgotten my Internet Banking password for my account. Ans : You can reset the password yourself, by using the link ‘Self Reset of Password’ on www.unionbankonline.co.in and creating a new password. This will be free of charge. You will need your Internet Banking User ID , and the ATM card (number and PIN) for the account. Your mobile number, email address, and Income Tax PAN / Date of birth should already have been entered in the account. Certain security precautions will also be taken before the password is allowed to be reset through this method. 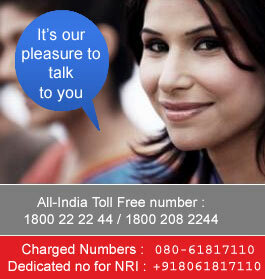 You may also call our 24x7 Call Centre on the numbers given at the top of the screen. A new password will be generated and couriered to your address, however there charges for this service will be debited to your account. Q : My Internet Banking password is not working, it seems to be blocked. Ans : The password gets blocked after three unsuccessful attempts. This is a security measure to protect your account. Please call our 24x7 Call Centre on the numbers given at the top of the screen, and request them to unblock the password. Q : Please help me to transfer money to an account at another bank. Ans : The money may be transferred within India through Internet Banking using the NEFT (National Electronic Funds Transfer) system which operates at set times during the day, or the RTGS(Real Time Gross Settlement) system which operates almost immediately but has a minimum amount eligible. You may also give a cheque to your branch with a request to do the transfer. Mobile Banking may also be used with NEFT. The amount can be transferred to any bank branch which is listed in the system and has an IFSC code number. If the beneficiary branch is not listed, then a DD (Demand Draft) on the nearest branch must be purchased and sent. 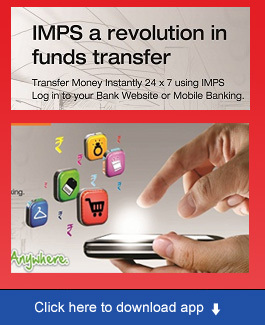 Alternatively you may use the IMPS [Interbank Mobile Payment System] to transfer funds through your mobile using the other person’s mobile as the reference. Q : I would like to make a Donation online. Ans : We have arrangements with certain Religious and Charitable Institutions, to whom you may make donations either through Internet Banking, or through firms such as BillDesk or through Credt/Debit Card. For the list of such Institutions, please click here. If you would like to suggest the names of other institutions for inclusion in the list, please enter the suggestion here. Q : Can I apply for ASBA online ? Ans : Yes. Applications under the ASBA scheme can be made through Internet Banking from the comfort of one’s home. Modifications can also be made in the same way.